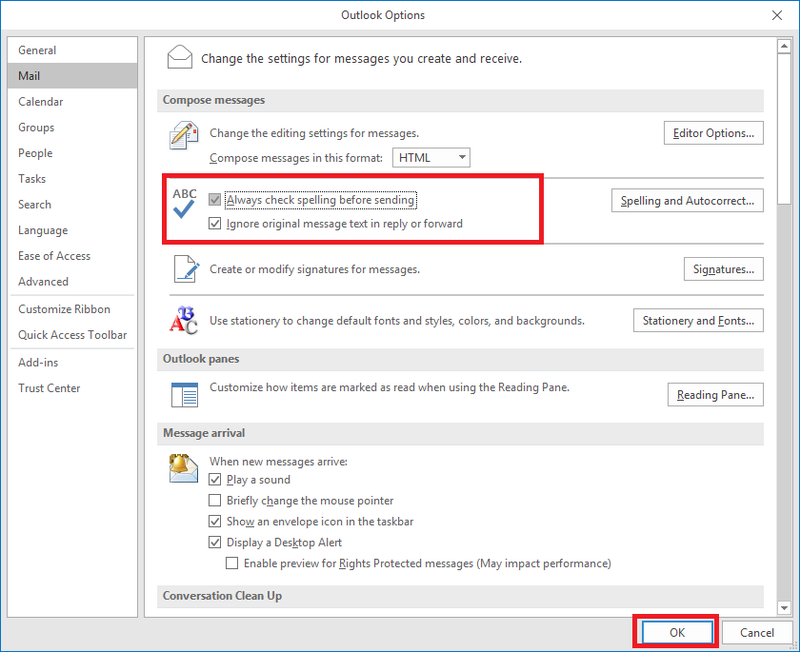 While using Microsoft Outlook, you might feel the need to check spelling and grammar for the email message you have typed before sending to your clients. But, you face a problem with spelling and grammar checker as it not flagging misspelled and missing words correctly. In simple words, spelling & grammar checker is not working as you expect it to work. Here are some ways that will help you fix the problem of spelling and grammar checker. 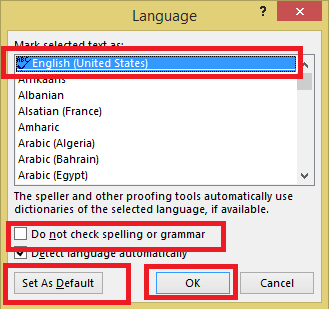 Please note: While using Excel, the spelling and grammar checker doesn’t highlight as you type. You will have to manually initiate checking by selecting Review >> Spelling or pressing F7 key on your keyboard. Checking for spellings and grammar can be easily done manually and this feature works successfully even if Word is not installed. You can check for spellings with F7 shortcut key on your keyboard or you can click Review tab from the menu bar and click on Spelling & Grammar. Click on New Email >> click Review >> Language >> Set Proofing Language >> uncheck Do not check spelling or grammar >> click Set As Default and hit OK button to finalize the settings. 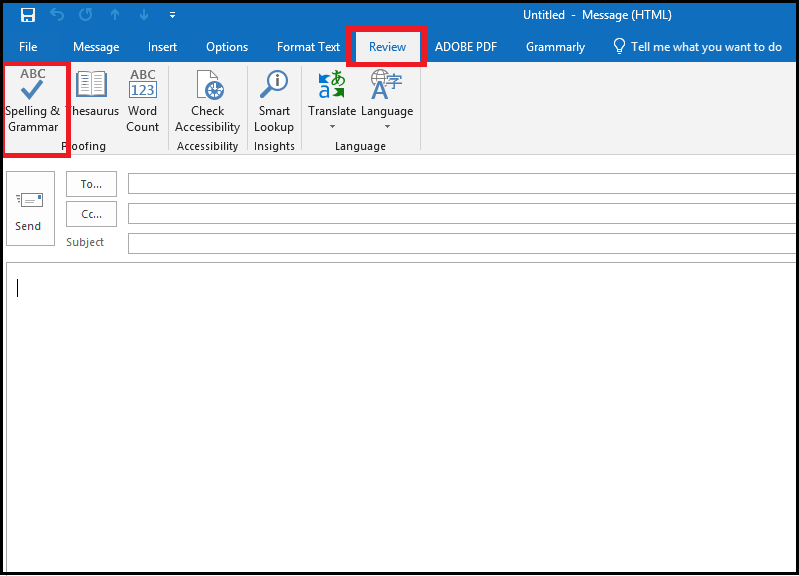 By following the above steps, you can disable and enable spelling and grammar check for different languages as required and apply the changes at template level. These are few recommended ways to set spelling and grammar checking work right for you. So, that you can work smoothly while sending crucial data and avoid blunders due to misspelled words or grammatical issues in your written messages.